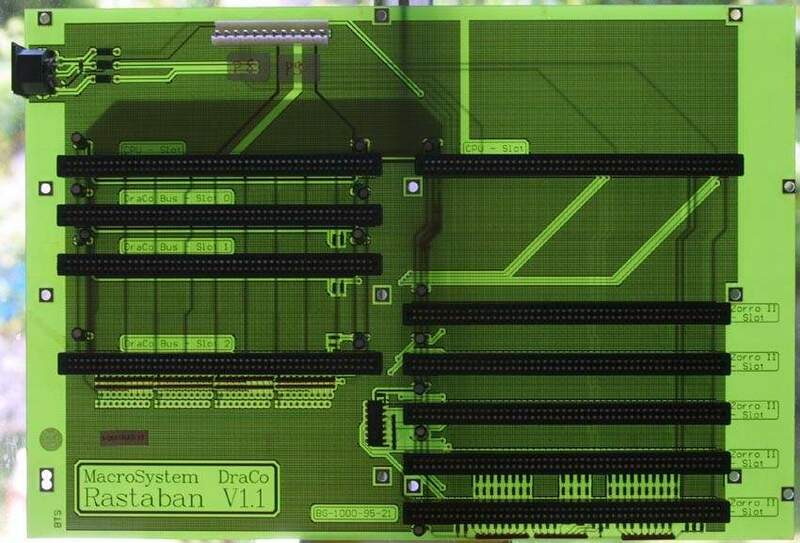 The Rastaban is the standard busboard found in the Amiga clone known as the Draco. The right hand side of the busboard contains the Zorro II slots, whilst the left side contains the DracoBus slots. 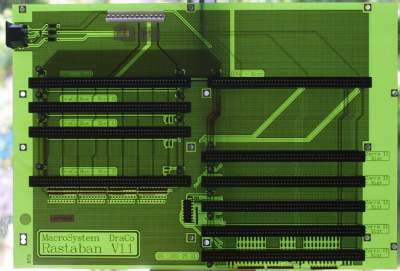 The top Zorro II and Dracobus slots are reserved for the motherboard card. The top of the board contains the power connector, and a keyboard connector is located to the left.